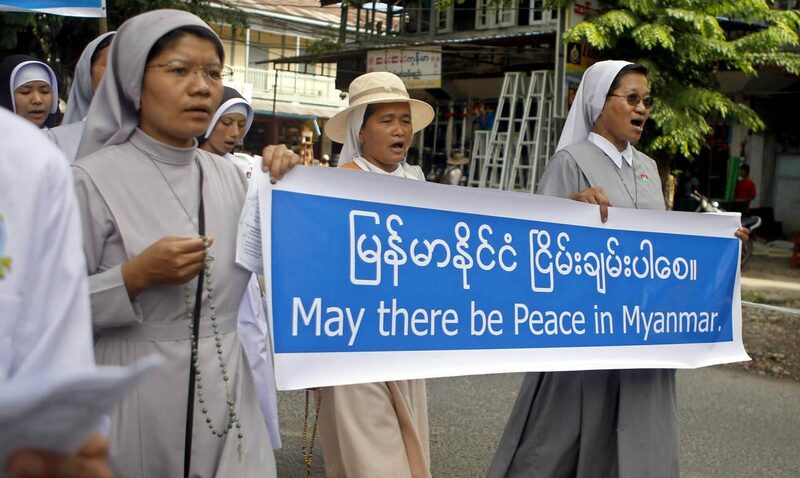 DUBLIN (CNS) — The retired archbishop of Mandalay, Myanmar, said the Kachin people are “very fearful” and have “little hope of peace” any time soon. 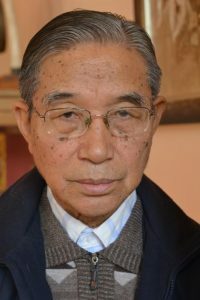 Archbishop Paul Zinghtung Grawng warned that peace remains out of reach for the people of Myanmar’s resource-rich Kachin state due to an ongoing military campaign waged against the people since 2011, when a 17-year cease-fire between the Myanmar’s military and the Kachin Independence Army ended. The majority of the 1.7 million Kachin people are Christian, mainly Catholic or Baptist. They have endured discrimination and persecution at the hands of Myanmar’s authorities for decades, over their ethnicity and their faith. The violence and insecurity of the past five years forced up to 120,000 Kachin from their homes into camps, which are often run by church groups. “Some of parishes have no villagers left, they are all in the camps for five years. There is no privacy. It creates all sorts of problems. There is a hopelessness. And the children’s education is suffering,” he said. Discussing the efforts of the Peace-talk Creation Group based in Myitkyina, the Kachin prelate said the church was very much involved in efforts to foster dialogue and peace and also to address the food shortages in villages and in the camps through the Karuna Mission Social Solidarity, the church’s local branch of Caritas. In March 2016, Htin Kyaw of the National League for Democracy was sworn in as president, heading up the first democratically elected government after decades of military rule. The transition heralded hope for an improvement for Myanmar’s ethnic minorities. But Archbishop Grawng said while the situation has improved, many challenges remain. Archbishop Grawng was the first ethnic Kachin ordained a priest. He was consecrated bishop of Myitkyina in 1976 and became archbishop of Mandalay in 2003. Kachin state’s resources include gold and jade mines, teakwood, rice and rubber plantations. The archbishop expressed concern over the controversial Myitsone Dam project, a Chinese-funded hydro-power project affecting Kachin state. Former President U Thein Sein suspended the project following concerns of environmental degradation and displacement of local ethnic communities. He said a committee is studying the potential risks and could decide on an adapted version of the plan. Archbishop Grawng told CNS he believes the country’s current political leadership wants change for Myanmar. Referring to its emphasis on transparency, he said proceedings in parliament are now broadcast live, “so you can see who is saying what.” Government newspapers, he said, are now more objective, and there has also been a boom in privately owned newspapers. “Democratization is supported. So there is a lot of hope. But the army can take over any time,” he added.